With so many great tools on the web, this new category will put all of the ones I’ve found in one place. Last night I did my first Meet Up event in OKC. If you’re not familiar with Meet Up, it is probably one of the easiest ways to meet new people who share your interests. Looking for a language group in your city? Go on Meet Up. Want a group of women to go to the theater with you? Meet Up is where you can find them. And if a group doesn’t already exist, you can always make one yourself. Now I will admit that some cities have more vibrant Meet Ups than others but it is fairly wide-spread. I just found Meet Ups in Rome, Buenos Aires, and Shanghai. Any poker players in Shanghai? They have a Meet Up. For my first OKC Meet Up, I joined a lovely group of women for the Girly Book Club. The Girly Book Club was actually started in London by a woman named Erin. The London Club now has over 1400 members and regularly packs out. Erin decided to spread her vision and as friends moved to new places she asked them to bring the club with them. 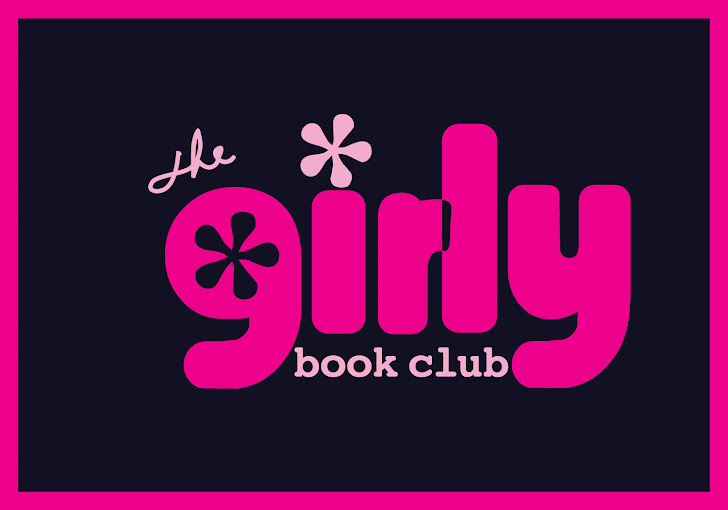 In addition to the OKC Girly Book Club, groups have also started in Denver, Melbourne, Nashville, New York City, San Francisco, Toronto, and Wellington. Each club reads the same book every month with recommendations coming from all the clubs. I have to say that last night was one of the most enjoyable experiences as a new person to OKC. It first started with an email from Laura, the OKC host of the group. She welcomed me personally, introduced herself, and told me exactly what to expect. When I arrived at Full Circle Bookstore (an incredible local bookstore), I got my name tag and bought a drink from the little cafe. When I sat down, I was immediately engaged in conversation. The group of 32 was a great mix of women between the ages of 20-60. It was split between locals and transplants from around the country. After everyone introduced themselves, we talked about the book The Night Circus (one of my favorites). Various people asked questions and almost everyone chimed in. There was no talking over each other and everyone seemed genuinely interested in what others had to say. By the end of the evening, I felt sure that this was a group I’d like to return to. And while I didn’t leave with a new best friend, I think it is a place I can connect. This entry was posted in iGlobal and tagged Culture, Expat, Girly Book Club, Meet Up, Moving, The Night Circus on August 28, 2012 by eliseblalock. So I’m pretty excited to say that this time next week, I’ll be global from Puerto Vallarta, Mexico. Hubby and I are taking our first ever trip abroad together to celebrate the end of all his medical training and our move to Oklahoma. To plan for the trip, I asked for some advice from one of my favorite blogs, Travel. Culture. Food. Here are some things we plan to do! This entry was posted in iGlobal and tagged Culture, Mexico, Travel on July 9, 2012 by eliseblalock. Last weekend I met a friend in Little Italy to roam through the farmers market (this is where I bought that cursed peanut butter). We ended our shopping with a drink at one of the local restaurants and I was pleasantly surprised to find that our waiter was actually Napolitano. Because it’s not often that I find native speakers in the U.S., I immediately started speaking to him in Italian asking where he was from and why he moved to the U.S. He answered back in Italian for a couple sentences, but then quickly switched back into English and explained everything he said to my friend. He also lightly scolded me that it was not polite to speak in Italian when not everyone present could understand. I’m sure I turned red. Perhaps I should have kept my Italian to myself, but the interaction did get me thinking. I’m looking for other ways to keep up my language. If you have any tips, please share! I may need to brush up on these too. This entry was posted in iGlobal and tagged Culture, Foreign Language, Italian, Language Learning on July 8, 2012 by eliseblalock. With Florence being the top study abroad location for American students, I tend to try to veer my advisees as far away from it as possible. Don’t get me wrong, I think Florence is great, but I’m pretty sure the Florentines and the Americans would benefit if the city were a little less populated by U.S. college students. However, not all students heed my advice, and many still decide to go. Some isolate themselves to the American culture, but some really do engage and find a way of making Florence a true Italian cultural experience. Recently one student told me that she was able to really discover Florence through an organization called Cup of Local Sugar. Cup of Local Sugar’s goal is to find knowledgeable and welcoming locals who can help the curious traveller better understand their culture. Started in Italy, the locals are mostly in Europe but are slowly spreading across the globe. Locals provide experiences in one of the following categories: coffee abroad, explore, move, play, or taste. These experiences go on the COLS website and then visitors can sign up to participate and schedule the time that works best. COLS does a good job of vetting both locals and visitors to make sure it is a positive experience for everyone. When I heard about this organization, I was immediately intrigued and completed the application to become a local in San Diego. I didn’t hear from them for a couple of weeks but last Monday they contacted me to set up a Skype interview. In the interview they asked my reasons for applying, what would be some things I would recommend someone doing in San Diego, and then just asked me to tell something about myself. (I told her I was 4’11″…it was the most interesting thing I could think of.) The interview lasted about 35 minutes and was fairly laid back and comfortable. At the end, she told me they would get back to me soon. As of Saturday, I am officially a Cup of Local Sugar Local! Of course I haven’t actually met with any visitors yet, but I’ll keep you posted. If you are interested in showing visitors your country or are about to travel somewhere and would really like the local experience, check out Cup of Local Sugar. And if you’re coming to San Diego, be sure to sign up for a coffee abroad with me, Elise B. (my sweet experience should be posted in a week or so). This entry was posted in iGlobal and tagged Culture, Study Abroad, Travel on June 12, 2012 by eliseblalock. A few weeks ago a student introduced me to www.postcrossing.com after I told her about my love for postcards. 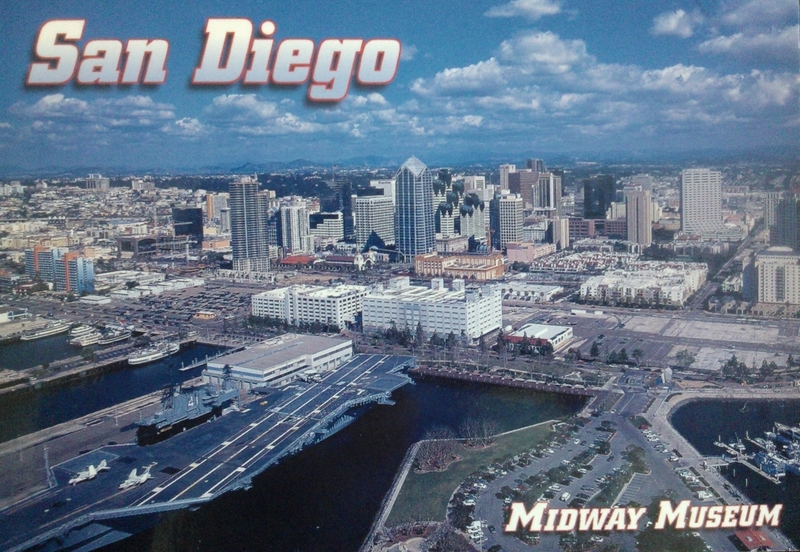 (I shamelessly try to bribe students to send me postcards from abroad.) Postcrossing is a postcard swap, unlike regular pen pals. There is no reciprocation between members (unless desired). 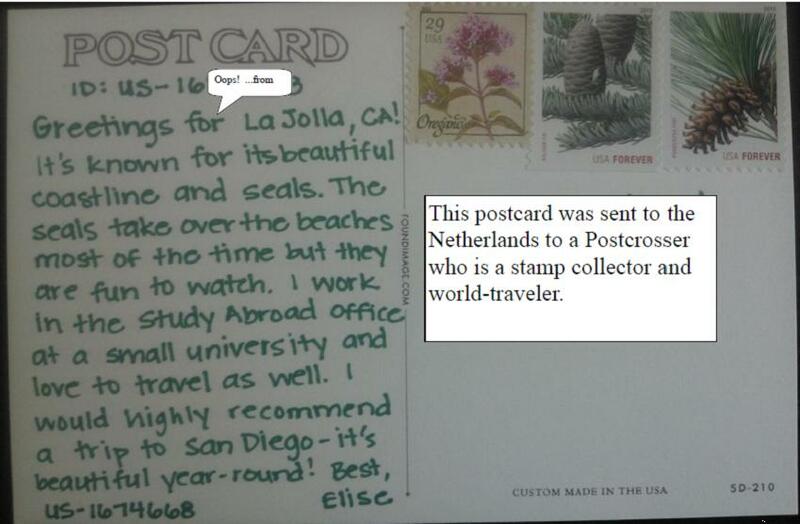 It allows you to mail your postcards all over the world and receive postcards from all over the world. In the past two weeks, I’ve sent postcards to the Netherlands, Russia, Taiwan, Japan, Germany, and Canada. 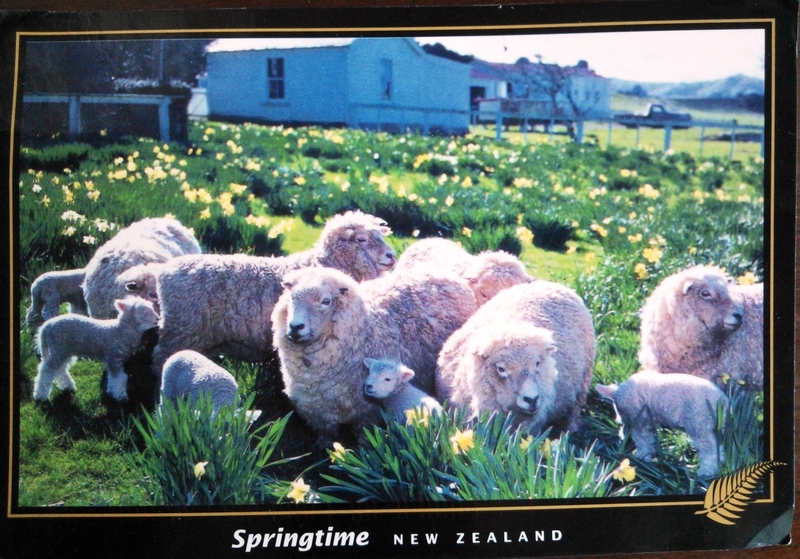 But yesterday, I received my first one from New Zealand. If you are a stamp collector, love to give/get mail, or just interested in an international exchange, this is a great way to do it. Check out a few of my postcards that I’ve sent and my first arrival! This is the one I just got! 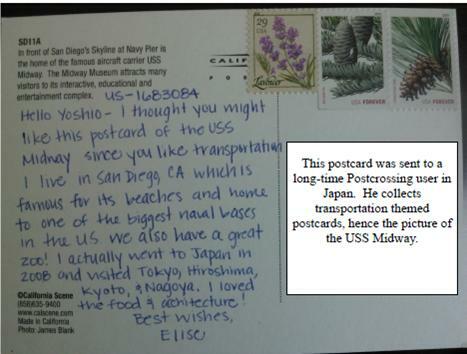 This entry was posted in iGlobal and tagged Postcards on May 24, 2012 by eliseblalock. Have you gone pinsane with Pinterest? They finally have created a social media tool that I LOVE and I have gone a bit wild with pinning over the past few months! Pinterest has given me inspiration for internationally themed parties, recipes, and destinations. Click the pictures below to check out some of my favorite travel-themed Pinterest sites for vacation ideas, books to read, and incredible global photography. Don’t have Pinterest? Post a comment and I’m happy to send you an invite! This entry was posted in iGlobal and tagged Pinterest on May 22, 2012 by eliseblalock.